So as you may have noticed I have changed my hair colour! I went from a natural dark brown to a platinum blonde! My amazing hair dresser Meghan from Urban Fringe Salon in Calgary did it. Let me add as a disclaimer NOW that my hair was almost all virgin hair and that is why this was so possible. To achieve this level of lightness I believe she used 30 level developer on my ends and then 20 developer on my roots because roots lighten quicker. After this she toned our the brassy colour. 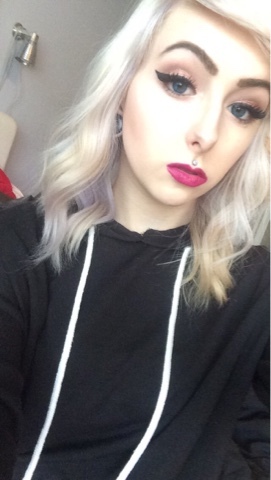 Since my hair had originally been half white and half black, then dyed over with my natural brown colour and then grown out a ton some of the ends were still not virgin hair so the ends on one side turned purply from being over toned and the other side was still slightly brassy from being black before. That will be fixed once we tone it. My overall goal is to have a nice white pearl colour! 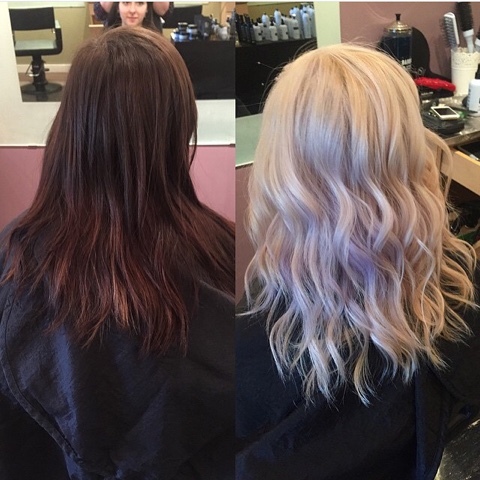 To keep the hair from being too damaged she used Olaplex and as well did a treatment which also was purple to help the brassy colour tone down even more! How do you feel about my new look? I personally love it! 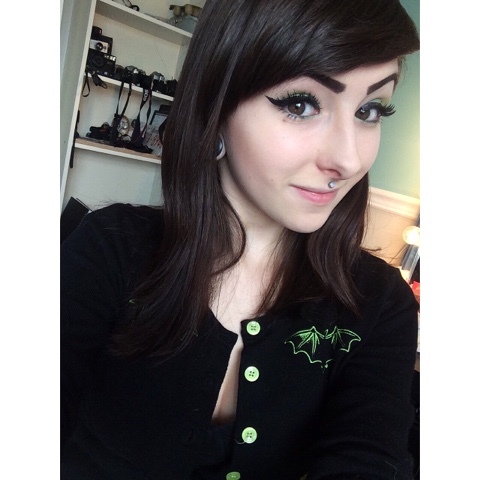 I don't even mind my hair short which is unusual for me as I usually prefer long hair! I still might get extensions, who knows!